Virtual girlfriends have been making unique, albeit despondent, headlines since 2010. We’ve seen stories about hotels for men with virtual girlfriends, a man who married a singing hologram, and men taking virtual girlfriends on real dates. 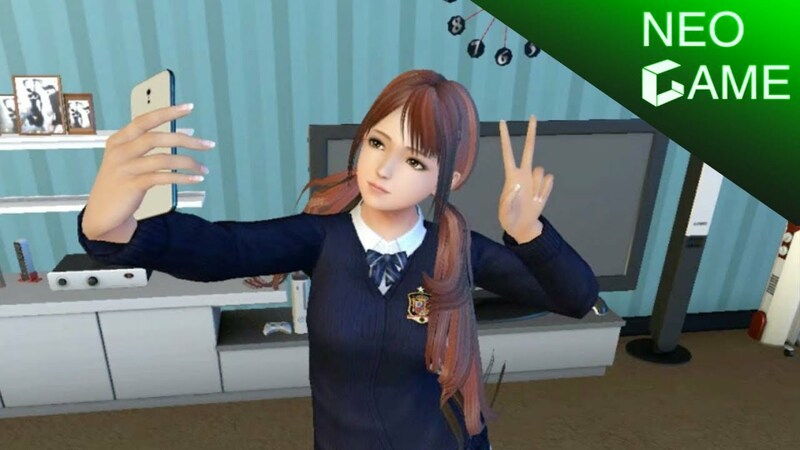 The market continues to grow, as showcased by the Top 10 Best Virtual Girlfriend Apps for 2019, an update from the year prior. Over the past few years, builders and developers in the virtual and augmented reality industry have been turning to virtual girlfriends (and boyfriends) as use cases for their technology. In an effort to boost sales, Chinese hardware supplier, iQiyi (a spinoff of search engine Baidu), will be incorporating a virtual girlfriend in its virtual reality (VR) headsets. Couger, a Tokyo-based startup, is developing a Virtual Human Agent, which incorporates artificial intelligence, blockchain, and augmented reality. Atsushi Ishii, the CEO of Couger, spoke at the Community Ethereum Development Conference (EDCON) held in May of 2018. Why does NEO.Girl drive its users crazy? But unlike many things on the blockchain, a date with Luna is more than just a pump-and-dump. We’re not ones to judge, but from what we’ve seen, she’s particular about the food she likes, and when she wants to eat, but balances that with yoga practice. She loves receiving gifts, which helps her feel more comfortable with her suitors. Gameplay itself is mostly PG. The game was born out of the NEO Game Development Competition that ran from May to August of 2018. The competition was hosted by NewEconoLabs, a Chinese-based developer group, co-sponsored by NEO, and attracted a total of 46 entries comprised of 258 developers. On October 31st, 2018, the top projects were awarded for their game submissions. Among the top projects selected was NEO.Girl from the Chinese game developer company, YYMOON. The game’s developers won a reward of JPY ¥500,000, an equivalent of around US $4,600. Though, when it came to virtual girlfriend game development, this wasn’t YYMOON’s first rodeo. In 2017, YYMOON released its first mobile game, VR girlfriend, which “has been downloaded more than 2 million times.” Similar to its VR girlfriend predecessor, NEO.Girl will operate on Android and iOS mobile platforms but will incorporate the NEO blockchain into its tech stack. Though, one user believes the game could have “market potential especially in places like Eastern Asia,” where dating games of this sort are increasing in popularity. In the NEO.Girl game, the user’s objective is to develop and maintain a relationship with the character, Luna. In the game, Luna is a girl that was designed with artificial intelligence that was created by a mad scientist named Dr. Wattman. In addition to GAS, there are two forms of in-game currency: diamonds and love bubbles. These currencies can be used to purchase additional features, such as exclusive items and storylines. Users can also create their own boyfriend avatar, which subsequently “offers the possibility for the players and their girlfriends to procreate future generations.” However, Luna seems to be only into guys. Sorry, ladies. This process will allow for the game to simulate the complete life cycle, as death and, erm, procreation will be prominent features. New generations of characters will inherit traits from their parent characters. Luna’s genetic characteristics can include various skin tones and types of hair color, skin color, eyes, and height, among other attributes that are to be preserved on the NEO blockchain. The girlfriend simulator uses the blockchain to store and maintain genetic features for the character, as well as in-game item features. Now you, too, can spend hours on a girl’s makeup. NEO.Girl uses non-fungible virtual assets in the form of clothing and gifts. According to developers, “it is very important to upgrade your girlfriend’s clothing” as characters can enter talent shows and earn rewards and prizes. 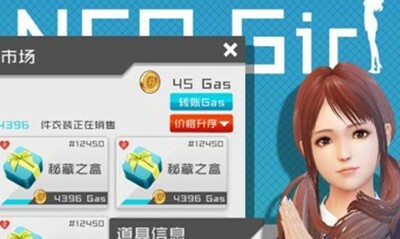 Suitors can also buy virtual assets with NeoGAS in the game’s Trading Mall, including clothing and accessories like headphones. At its launch, NEO.Girl will begin with a total of 4,000 limited edition pieces of clothing, which will increase over time as the developers add new items. 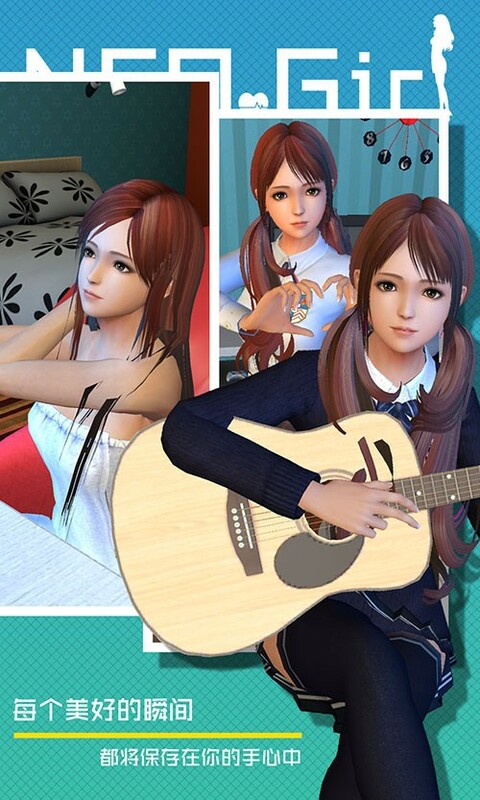 Great, even my virtual girlfriend has more talent than me. For those of us who have a hard enough time figuring out how to win someone over, perhaps a practice run spending GAS on a blockchain-based virtual girl may help do the trick. The author is invested in digital assets, including NEO and ETH, which are both mentioned in this article.